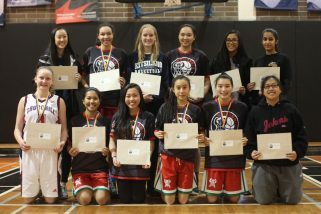 The VGBA is pleased to announce the establishment of the Vancouver Girls’ Basketball Challenge Scholarships. These scholarships were established in partnership/cooperation with Langara College and will be awarded annually to successful candidates that have participated in the TELUS VANCOUVER GIRLS’ BASKETBALL CHALLENGE. The two scholarships valued at $1000 each can be applied to tuition and fee costs upon enrolment at Langara College. Funding of the scholarships has been made possible through generous donations from Mr. Jahanshah Assadi, Mr. Russel Black, Mr. Greg Eng, Mr. Michael Kwan, Mr. Ron Suzuki and Mr. Wesley Uyeyama. Langara College will match donations to a maximum of $3000.